Because you are ready to make a change! As your integrative wellness practitioner, I serve as a skilled partner to help you identify the steps you need to take to improve your physical, mental, emotional, and spiritual health, and support you along the way. Whether you want to lose weight, change your habits, tackle life’s transitions with confidence, or just feel better, my goal is for you to feel better after every session. I believe in an affordable, community-based approach to lasting health and happiness. Wellness should be accessible to everyone. We will work together to support and accept where you’re at today; identify strengths and challenges, and create a wellness plan and vision that includes areas of focus (more energy, less stress), goals (sleep schedule, meditation), and action steps (bedtime 10:00 p.m., Annie’s 3-3-3). All sessions are tailored to you with realism, humor, and heart. How can I help you feel better? Would love to know more about you and how I can support you. Thank you for taking the first step! I will touch base with you shortly. Health and wellness involves more than the absence of disease. 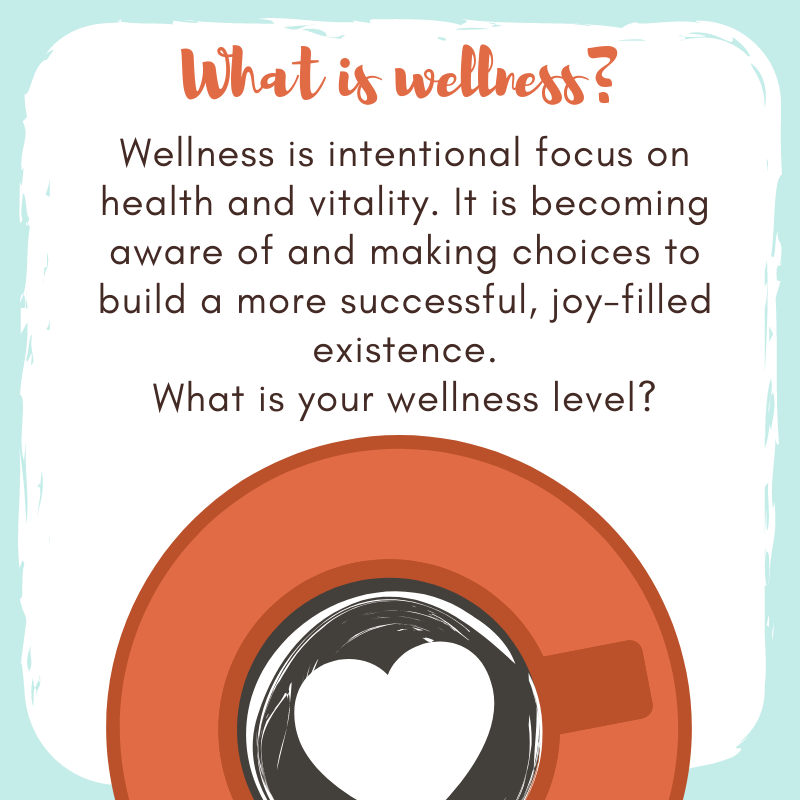 Wellness, as a concept, includes all aspects of physical, psychological, spiritual and social well-being; it is multi-dimensional and holistic. A little wellness on the go and a free class?